Have you always wanted to paint gorgeous, light-soaked and realistic water scenes? 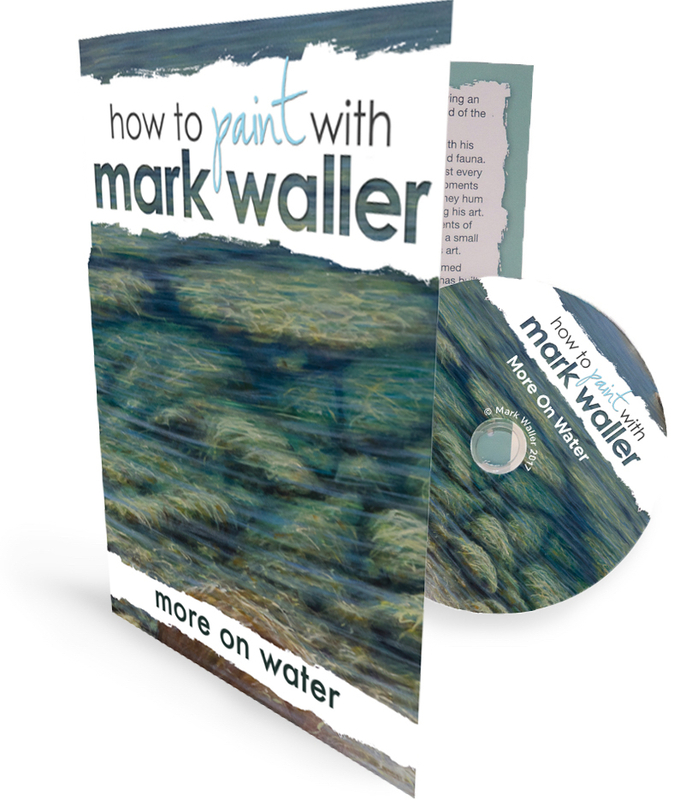 Mark’s “More on Water” DVD tutorial builds on his first DVD “Water Fundamentals”, and explains in more detail how the four elements that make up the appearance of water, work together to bring realism and depth to your paintings. How to alter the elements that make up the appearance of water in order to paint a pebbly beach, a rocky mountain stream, or anything wet! A simple process to understand how these elements interact. The basic science of water - reflections, refracted light and the behaviour of water. Gain a deeper understanding of how to create realism with your reflections. Create the illusion of perspective, volume and depth in water with simple concepts, paint recipes and processes. Backed up by real world examples to illustrate the processes. Develop a deeper understanding of each element making up the appearance of water. Attack your waterscapes with more confidence. Translate these concepts to create your own amazing water paintings from this day forward. Mark explains his colour mixes and techniques used in detail as he goes.